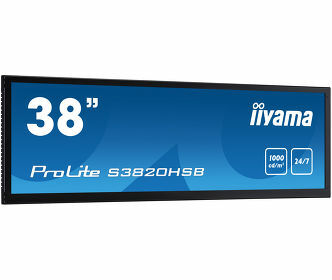 The new Prolite E2273HDS from iiyama is the manufacturer’s second expansion into the new generation LED display market this year. This 22” monitor is more commercially viable than most on the market, as iiyama are one of the few manufacturers that have included VESA mount capabilities in their design. The new range of LED-backlit monitors feature all the high quality specifications we have come to expect from iiyama, including exception image quality and sharpness thanks to 16:9, Full HD 1920x1080 resolution, 5,000,000:1 ACR and fast 2ms response. 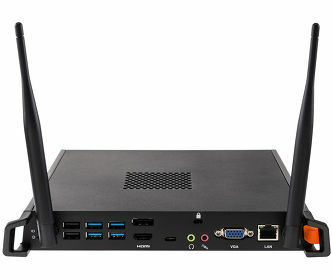 The triple connectivity of D-Sub, DVI-D and HDMI allows greater use across various media platforms from PC to gaming and video. However, to encourage growth within the business, education and corporate sectors where mounting capabilities and integral power sources are frequently required, the new design incorporates all this, enabling iiyama to lead the in price and performance in these markets. The internal power source means that only a ‘kettle’ lead is required and VESA mounting capabilities also has an area to store the cables at the back. As long-term cost and energy savings are also key requirements the ProLite E2273HDS is Energy Star 5.0 qualified, using less than 0.5W in standby and typically only 21W typical usage. Finally, the new LED-backlit displays are all Fully Plug and Play and come with 3 years ‘on-site’ Advance Exchange Warranty as standard.